Since I often speak with teenagers regarding Internet safety, I am intrigued by their common willingness to take risks even though they've been taught, warned, and shown why certain actions could be harmful to them. So when I was offered an early copy of Jess Shatkin's book, Born to be Wild, I jumped at the opportunity to learn more from this nationally recognized adolescent psychiatrist and author. Additionally, I had the opportunity to ask him a few questions about both his book and his experience as an author. Scroll on down for my interview with Dr. Shatkin and my review of his book. 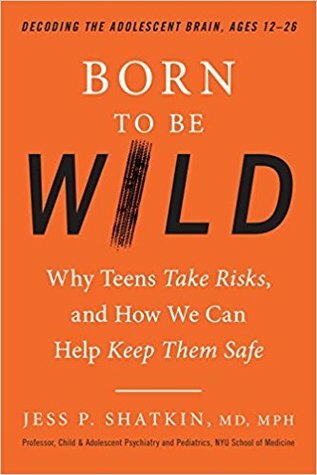 Born to Be Wild: Why Teens Take Risks, and How We Can Help Keep Them Safe by Jess P. Shatkin, M.D. (TarcherPerigee; October 3, 2017). 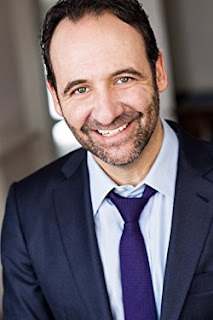 An acclaimed adolescent psychiatrist and educator, Shatkin has been featured in the New York Times, the Wall Street Journal, and on Good Morning America. * Adolescents are genetically engineered to prioritize emotions over logic: Teens make risky choices for social acceptance and to avoid emotional pain. If a peer is watching, even a peer they don’t know, adolescents are more likely to take risks. * Teens know that they’re not invincible. In fact, studies have shown that, when teens engage in risky behavior, they often overestimate their chances of being harmed by that behavior. * Improving parenting practices and increasing parent monitoring can help halt high-risk behaviors: Shatkin shares Parent Management Training (PMT) techniques that emphasize tactful praise over remonstrations of how not to behave. * Supportive families benefit the brain: Studies show teens raised by parents with low levels of conflict in their homes have less demanding brain reward centers; these teens will engage in less risk-taking behavior because their interpersonal relationships are rewarding. * Ironically, even though adolescence is a risk-taking time, it is also a time of incredible potential. In Born to Be Wild, Shatkin shows what parents and teachers can do--in everyday interactions, teachable moments, and specially chosen activities and outings--to work with teens' need for risk, rewards and social acceptance, not against it. Q: As a busy and well-respected professional in your field of Child & Adolescent Psychiatry and Pediatrics, how do you balance the time necessary to write a book and uphold the responsibilities of your “day job”? A: Luckily for me, my day job is to work with and think about children, adolescents, young adults and their families. So, I’m always addressing the sorts of issues I wrote about in Born to Be Wild and building clinical programs and trainings to help adolescents and their families. It’s true that finding the time to write a book is tough. I’ve been thinking about this book for seven years, and started writing it about three years ago. So, it was a long birthing process and a lot of late nights and stolen hours on weekends. 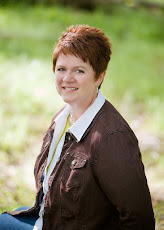 Q: When you prepared to write and publish your first book, did you need to write a nonfiction book proposal and query agents, or were you approached by a publisher because of your expertise in your field? A: Well, depending upon how you count books, it’s probably fair to say that this is my third book. The first book, Treating Child and Adolescent Mental Illness: A Practical All-in-One Guide, was written for professionals and people training in my field. W.W. Norton published that in 2009, and we published a second edition, retitled Child and Adolescent Mental Health: A Practical All-in-One Guide, in 2015. Also in 2009, I co-edited a book of manuscripts on pediatric sleep disorders, which is an area of my clinical expertise. So, because of the writing I’ve already done, in addition to research and clinical articles I write for professional journals, I do regularly get approached by academic publishers to write and edit books. But that type of writing is very different from writing for the public in general, which is what I’ve done here. So, to get to your real question, yes – I did speak with a few agents and I had to write a long, 120 page!, proposal for the book. The proposal contained a summary, other books in the field that might be perceived as being similar, a detailed description of each chapter, two completed sample chapters, a marketing analysis, and a lot of info about me. That was year one of writing this book. Q: Whenever I pick up a new nonfiction book to read, I always flip to the table of contents first and then scan through the pages to see how the book is formatted. I noticed right away that you’d chosen unusual titles for each of your chapters, which certainly caught my attention and made me curious. Why did you choose to vaguely title chapters (such as “Achtung, Baby!” and “Getting to Gist”) rather than precisely indicating the content of each chapter? A: One of my goals with this book was to translate new science and its practical application into common language. As a result, I tried to write in the way that I speak and in a less technical way than I have written in the past. The “fun” titles themselves are aimed at achieving two things: First, I’m trying to hook the reader into the topic by making them curious about what’s next; and second, I’m trying to take the essence of what lies ahead and link it to something that the reader may recognize in some way. Each of the chapter titles is subtitled so that you can see what it really is about (e.g., “Achtung, Baby!” [which is the name of a famous U2 album and therefore may pique some readers’ interest] is subtitled “What doesn’t keep our kids safe” which is what it’s really about). But you’ll also find that every section of the book within each chapter leads with what I hope is an engaging title and topic sentence. This was just one of the ways that I tried to reach my goal of bringing people into material that can otherwise, at times, read as dry. Q: In your easy-to-read narrative style, you shared a lot of anecdotes. Do you ever worry you shared too many personal elements of your own history or the history of others? A: No, I haven’t worried about that. I think that everything I shared about myself, while a bit revealing at times, it’s true, is nothing to be ashamed of. I did make some foolish mistakes growing up, and I had some good fortune as well. I tried to show myself as I truly am – human and fallible, sometimes successful. Regarding stories about my own two kids, those are all honest, discussed with them and cleared by them and my wife. In other words, I didn’t reveal anything about them that they’re not comfortable with me revealing. Regarding the patient stories I’ve shared, all of the names and details have been changed, and so they will read as anonymous. I felt it was important to tell the stories so that people who read the book will find it “easy-to-read” as you describe it. Without stories, I suspect the Bible wouldn’t have lasted…it would just read as a list of do’s and don’ts. Likewise, with my book – the stories were absolutely necessary to get the points across. Q: On page 49, you wrote, “During adolescence, dopamine is more robust within our brain than at any other time of our lives. Never again will chocolate taste so good. . . . This is perhaps the major reason that our memories of adolescence are so strong and our allegiances to the institutions of our youth . . . are so profound. Things will never feel this good again.” This passage was a huge lightbulb moment for me while reading your book, because I could never understand why people were so highly invested in high-school reunions and reliving memories from those years. Those years were not the highlight of my life, and I can assure you, each new day in which I get to savor expensive chocolate is a profound day in deed. Chocolate has never tasted so good as it did today, and I expect it to be even better tomorrow. Could my dopamine levels have been less “robust” than my peers during those adolescent years? A: Well, first of all, you’re very lucky to be enjoying chocolate so much and looking forward to it every day! My guess is that what you really like about the chocolate, in addition to the taste, is the anticipation of it. That’s why people often like Friday (even though it’s a work day) more than any other day of the week – they are anticipating a weekend; and why they like Sunday even less than Friday, even though it’s a day off, because they are anticipating the work week ahead. That’s a dopamine effect – it’s all about the anticipation of pleasure. And I don’t mean to say that just because dopamine is at all-time highs during adolescence that you cannot enjoy certain things more with age – I think that many things in my life give me more pleasure now than they did when I was younger because I know how to take better advantage of them or utilize them better. An example might be food – I didn’t really like the taste of truffles (of the fungus variety) as a kid, but around 30, I started to really enjoy them; I became able to distinguish truffles from other flavors and appreciated their uniqueness. The same is true for me with red wine – I couldn’t tell one from the other at 25 and didn’t really care much about it. But today, now that I know more and have tasted more wines, I know what I really like and red wine gives me much more pleasure than it did when I was younger. Perhaps that’s the same with you and chocolate. But none of this takes away from the fact that our emotional connection to things of our youth is profound, I believe, because we experienced those things at a time when we were primed to find pleasure by the high levels of dopamine. Q: On page 32, you told a story about Chris who tried to kill himself after being misjudged due to a “zero tolerance policy.” I, too, know of teenagers who’ve attempted suicide because of such policies, and yet these practices remain in place throughout the country. Do you hope that Born to be Wild will shed new light on these school policies and spur a change within those institutions, or do you hope your book will enlighten parents so they can help guide and protect their children from those strict policies? A: I would hope for both. Change takes time, but I hope that my book will contribute to an ongoing conversation about how we raise our kids and particularly how we understand adolescents and this unique developmental stage. Q: What was your number one goal in writing Born to be Wild? A: My main goal was really to contribute to our understanding of adolescents; and to share what has been learned with the general public. Q: What is the number one item you hope readers will take away from your book? A: I hope that readers will gain a better understanding of themselves and adolescents, which I hope will lead to greater empathy, less frustration, and more constructive problem solving in helping our kids grow into healthy and responsible adults. Buy it on Amazon, click here.